Commission for Visby Harbour and the Region of Gotland. 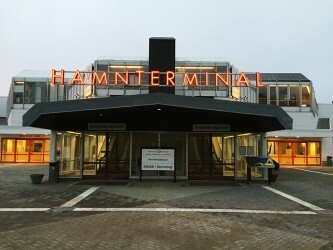 Hamnterminal, a neon and aluminium sign for the new terminal building. January 2017.